By Bhishma Raj Ojha/Narayan Dhungana (KATHMANDU, 30 March 2019) – Investors at home and abroad attending the 3rd Nepal Investment Summit have sought full implementation of Nepal government’s commitment to put procedural reforms and policies for investment security, while expressing their excitements over favourable environment created for investment in Nepal. They expressed happiness at the government’s efforts to attract investment by making necessary laws, and said they would be keeping a close watch on what steps the government would take in providing investment security and removing administrative bottlenecks to that effect. It is worth-noting that the country had organised the summit for the first time in 2048 BS following the restoration of democracy. The investors attending the summit had pledged investment of approximately $100 million, but only around 25 percent was implemented, government data shows. Likewise, second summit was convened in 2073 BS following the proclamation of the new constitution through the Constituent Assembly. In the summit, around Rs 14 trillion investment was committed, but only 25 percent was implemented, the government added. In return, government officials have assured the investors of investment security, while economic experts have suggested that the government takes it an opportunity to fully implement investment commitments made by investors in the context when there is political stability following the conclusion of elections at all three levels–federal, provincial and local. Although the investors and entrepreneurs were buoyed for the favorable legal framework devised by the government here to attract investments, they said they were in ‘wait and watch’ state when it comes to its implementation. FNCCI President Bhawani Rana viewed that in the wake of new industrial-friendly environment enabled in the country lately, there was no alternative to other agenda than the economic prosperity. Rana said, “We are excited that the government has taken a step forward for partnership with private sector”. Stating that the government was moving to the direction of policy reforms and economic prosperity, the FNCCI President shared that it had spurred excitement in the investors this time. She viewed that the government should prioritize connectivity, airport constructions and production of energy, saying that the government should walk the talk when it comes to its commitments and mission. 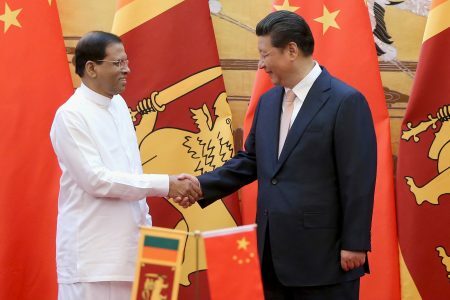 Similarly, FNJ Vice-President Kishore Pradhan attributed that the unfavorable environment for investment in the past to be the reason behind why there was disproportionate amount of investment to the commitments made in the Investment Summit. Stating that the situation has changed lately, he underscored implementation of legal framework devised in the country to attract foreign investments. Confederation of Nepalese Industries Vice-President Krishna Adhikari said that the present scenario was favorable for construction of infrastructures and urged the government and private sector to capitalize on this investment-friendly climate to attract more and more foreign investments. Nepal Poultry Federation President Gun Chandra observed that there were plenty of opportunities for development in Nepal of late. According to him, government was still failing to attract expected quantity of foreign investment as he argued that the State was yet to devise favorable climate for investment. NRNA President Bhawan Bhatta shared that the Non-Resident Nepalis were found very excited in the investment summit this time. Sharing that there would be plenty of commitments in the Investment but not all commitments would be implemented at the end, Bhatta said that the new process put in place for investment in Nepal had given a positive message to the private sectors. He raved the exceeding numbers of participation of national and international investors than expected was a primary indicator of the success of this Investment Summit. He expressed his happiness that the government had already formulated three new laws enabling investment-friendly environment while three more were in the offing. According to him, no country across the world had become rich in its own investment. He informed that an agreement was signed with the government to set up a basket fund worth Rs 10 billion to support the government’s agenda of economic prosperity. 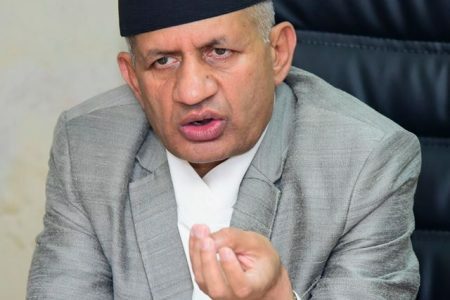 The prime goal of such summit is to inform potential investors of country’s possible projects, said former Finance Minister Shankar Prasad Koirala, adding it is not the way all investment commitments could be implemented. He took the introduction of multinational companies like Unilever, Dabur, Khimti and Bhote Koshi hydropower projects in Nepal as big achievements in the past. He informed that the second Nepal Investment Summit held in 2017 saw the commitment of around Rs 14 trillion and its implementation progress was nearly 25 percent. This time the investment is likely to go up which he said would have positive impacts on the country’s economy. It was the effective part of government to showcase 77 projects under the concept of project bank, he added. The most positive aspect is the commitment for the establishment of one stop service to facilitate investment flow and trade expansion.